Junior and Senior camps are available at both studios! We have a great summer planned with some new activities and techniques to share and explore together. We are following the same format from years past, but we’re changing the projects. 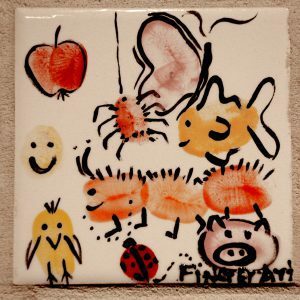 The experience of working with wet clay is wonderful for kids of all ages. 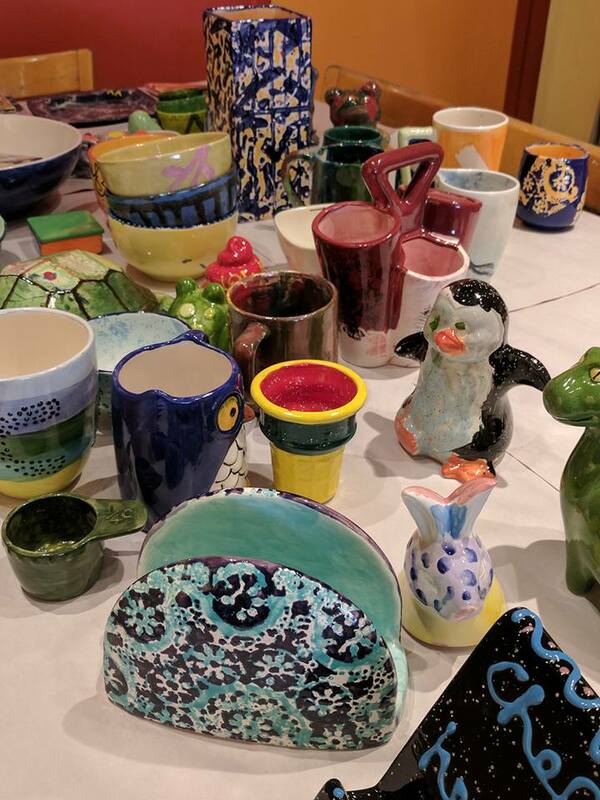 Painting pottery continues to be the most popular component to our summer camp. Kids will have sketch books that they will use to develop ideas throughout the week and then take home with them on Friday. Kids who sign up for multiple weeks will have alternate project options to keep their creativity going. Finished projects can be picked up 3 weeks from the last day of camp. We will also call you to let you know your projects are ready. My name is Liliana Gual. It is my first time working at All Fired Up and I couldn’t be more excited! I am a recent graduate from Salisbury University with a bachelors in Psychology with a concentration in child psychology! Working with children is a passion of mine and I’ve worked in several different camp settings but this by far will be one of my favorites because art is also a huge passion of mine! In college one of my favorite classes was ceramics. It taught me a lot about myself and my creative mind and I can’t wait to help the children at All Fired Up Summer Camp find that in themselves! Working with clay really allows a child to talk with their hands. Clay takes the ideas in a child’s mind and allows those ideas to come to life. Art is a form of self expression and it’s amazing to see what children of all ages are capable of making. In my free time I love to create as much art as possible, I especially love mimicking nature and creating ceramic pieces that incorporate the beauty that the world has to offer. Some of my favorite things to draw are flowers and plants! When I’m not working on my art, I love to spend time with my new puppy.. I recently made her a cookie jar out of clay and used the shape of her ears as the lid! I also love to site-see and garden! Amelia Bell is returning for All Fired Up Summer Camp 2018! She returns freshly graduated from Virginia Commonwealth University, where she received a bachelor’s degree in art education. Through her degree program, Amelia has had the opportunity to teach kids from preschool to high school age. She has also worked with children in summer programs and camps. Amelia has experience in most art forms — from painting and drawing to woodworking and glass blowing. When she is not making art, Amelia is crocheting, reading, and hanging out with her cat. The most important thing for her is to show children how amazing and diverse art can be. Amelia wants kids of all ages to have a positive experience with art and hopes to teach that in her own classroom someday soon. She believes all children are artists whether they know it or not! And that is why she is so excited to be a part of the All Fired Up Summer Camp again this summer in 2018. Amelia can’t wait to share her knowledge with campers and help them reach new artistic and creative highs!